Use this Prince Edward Island child support calculator to determine the potential base monthly child support payments. 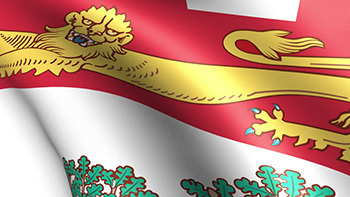 The province of Prince Edward Island adopted child support guidelines based entirely on the Federal Child Support Guidelines, through its own Family Law Act. As with other courts though, it has the jurisdiction to amend those amounts based on individual case circumstances. This PEI child support calculator is an excellent tool of reference for users who may need to get an idea of how much they might have to pay before they even prepare for a family law case. Those in a family law action know that having a rough idea before them about money amounts may prove to be very helpful. The Provincial and Supreme Courts of Prince Edward Island offer court users informative pamphlets which can assist in providing family law information before you even speak to a lawyer. Those contemplating representing themselves will be able to obtain assistance with respect to forms and ultimately deciding if they need to speak to qualified counsel. Depending on where you live in Prince Edward Island, it would be best to contact the Supreme Court Offices in Charlottetown or Summerside first to see which office may have the information you need. All PEI court offices will likely have the same informative pamphlets which are distributed province-wide. You may be able to find more information online, but the Court Offices could potentially save you some of research time, and even perhaps a few dollars of legal fees. If looking at child support information for Prince Edward Island, it is important to be as self-informed as possible. For clarification on Prince Edward Island child support guidelines, it is important that you contact a lawyer and/or the local courts administration office in your area. 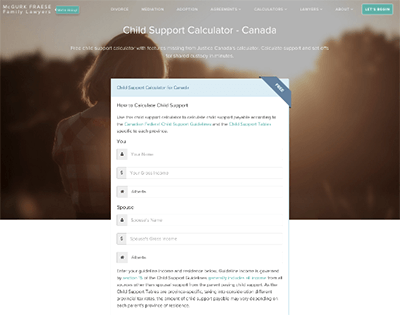 A sophisticated child support calculator for calculating support in shared or split custody scenarios. The calculator also calculates estimates of tax and spousal support. 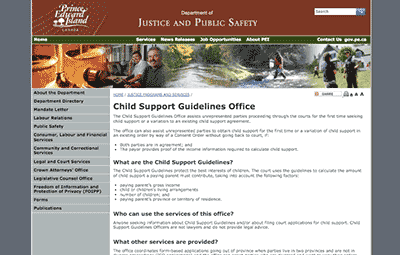 The Prince Edward Island Child Support Guidelines Office assists with making, enforcing and collecting on child support claims.